A few months ago I decided it was time for my little girl to have a big girl bedroom. She is now four years old and it seems like overnight she went from being a baby to becoming a young girl full of personality. I wanted to create a room for her that reflected the sweet loving young girl she has become. I began by painting the walls a soft gray. The color is Bonsai from Valspar. I felt more comfortable adding in lots of color with all the accessories by keeping the walls a neutral color. 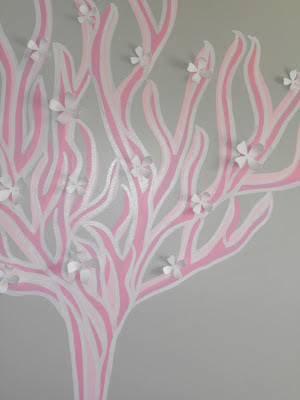 I chose white accents because I think they pop nicely against the gray walls, and of course added lots of pink! Pink is Audrey's favorite color at the moment. The bedding is actually a quilt set. Quilts are so easy to maintain. The more you wash them the better they get which is nice especially for a kid's room. 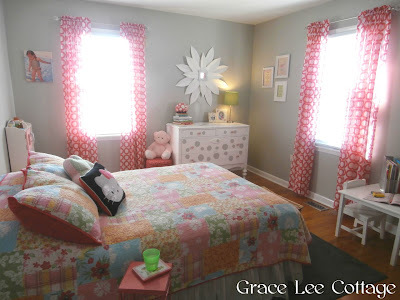 I love all the fun colors and the sweet cottage touch the quilt adds to the space. The dresser is an antique piece that my husband's aunt gave us. I painted it with several coats of glossy white paint and added random polkadots to the drawers with the left over paint from the walls. The pink knobs give it an extra girly touch. The flower mirror above the dresser is actually made of a small mirror and poster board petals. I followed this tutorial found here. The original tutorial is for a sunburst mirror. I modified it a little to create a flower. I purchased the curtain panels from Lowes. I think hot pink and gray go so well together. The canvas hanging on the wall to the left of the window is a picture of Audrey playing on the beach. Playing at the beach is her favorite thing to do. She talks about it all the time, and wears her bathing suit around the house whenever we are home, even in the winter. She is constantly ready for the beach! Her play kitchen fits in nice beside her bed. 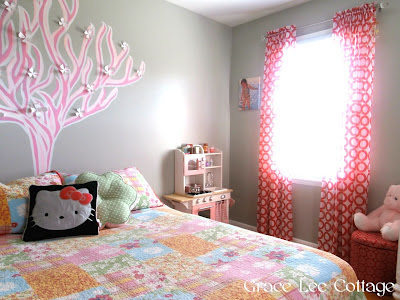 I hand painted the tree on her wall behind her bed. I used sample cans of paint in two different shades of pink and the same glossy white paint used on her dresser. 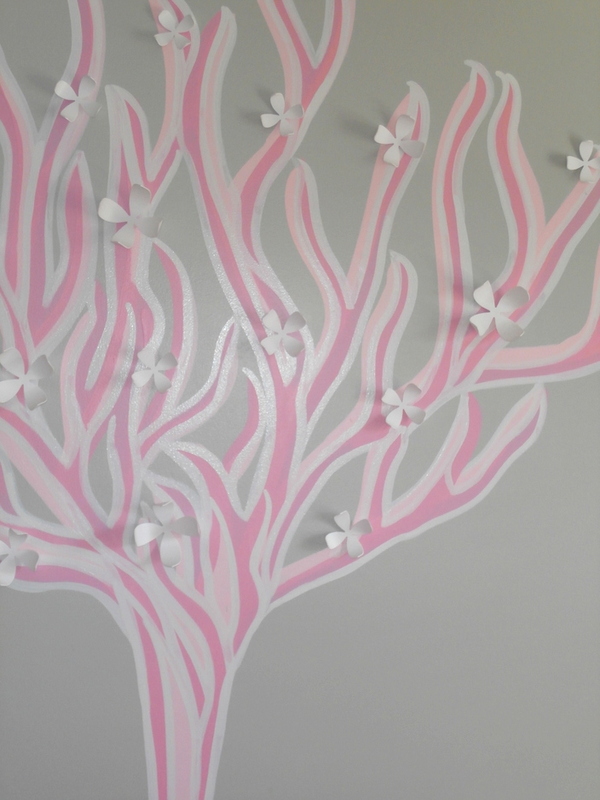 I added the wall flowers for a 3D effect. This little table was once a flower stand and it was black and hunter green. 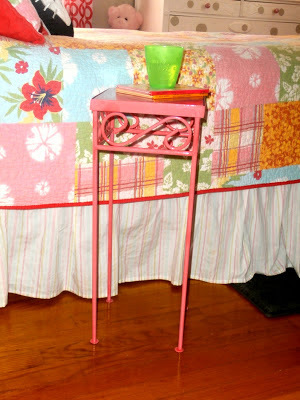 A quick coat of hot pink spray paint made it the perfect bedside table for her books and her cup of water she takes to bed every night. The other side of the room features a gallery wall. The vanity was mine when I was younger. 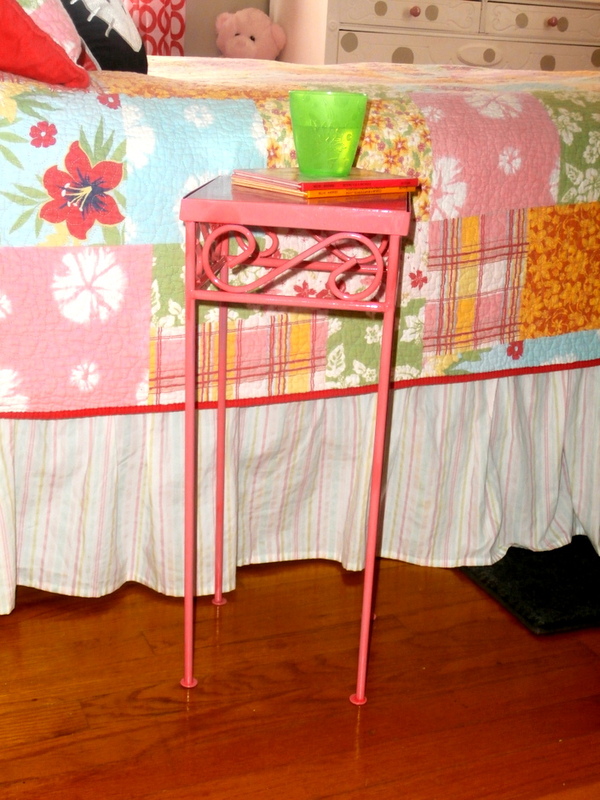 I updated it by painting it the same color as the walls and adding pink knobs to match the ones on her dresser. The small table and chairs are a nice place for her to color and create. 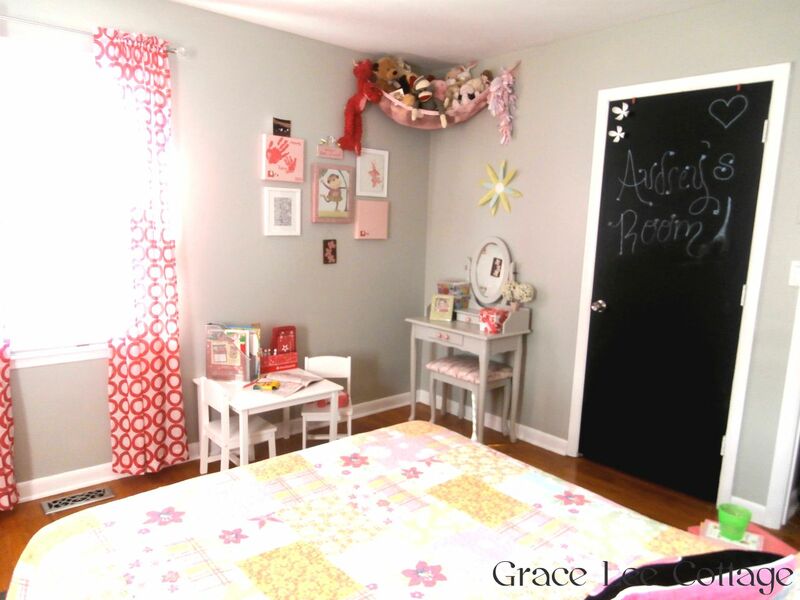 I painted her entire closet door with chalkboard paint and added a couple of the wall flowers from her tree to the top. So far Audrey is loving her new space. She even keeps her room clean! Crazy right?! It's a win win! Thank you Jenifer! I would love to see it! I bet it looks great!! This room is so cute! 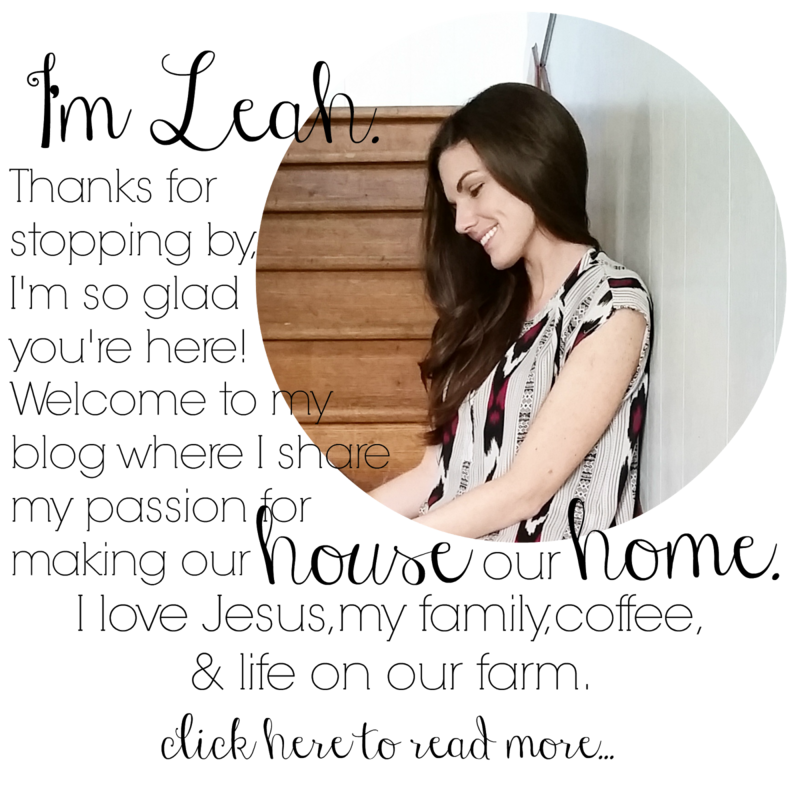 You have tackled so many DIY projects here and they all look great. 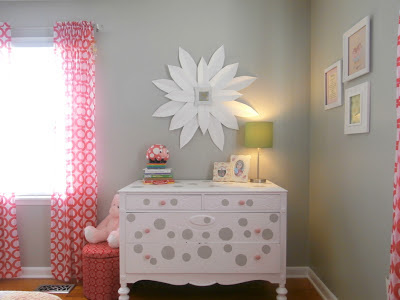 My favorite thing is the polka-dot dresser....adorable! Hi Susan! Thanks so much! I like the pretty pinks against the gray walls. The dresser is too cute.